Better For You Instant Pot Chicken and Spinach Ramen from Half Baked Harvest on Vimeo. Do you guys ever have times when things are just crazy with both work and life? I know we all do, but right now things are just so crazy for me. I both love it and semi hate it at the same time, but for the most part I love it, and am so grateful to be busy and doing what I love. 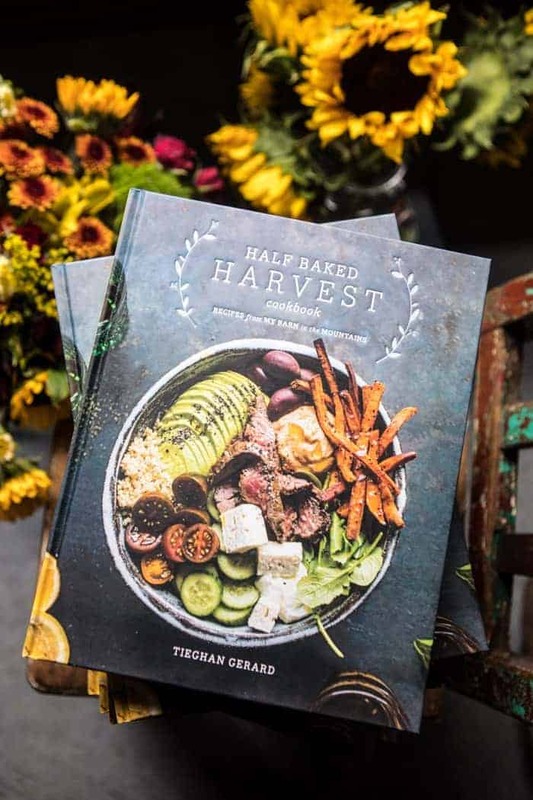 This week is jam-packed with prep for the Half Baked Harvest Cookbook retreat, which starts this Thursday! I am so excited for the event, but have lots to do both before and during the event. I am cooking a huge group dinner for twenty on Saturday night followed by brunch the next morning. All the recipes are coming from the HBH cookbook…and I am cooking everything…can you say YIKES?!? This is my first time really hosting an event like this, so I am pretty nervous. Just crossing my fingers all goes well! I spent most of Saturday breaking down each day this week literally hour by hour. I HAD to do this. Not only to be able to get things done, but also to calm my anxious thoughts. 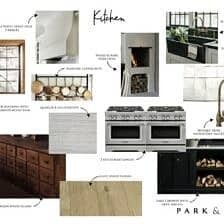 To help stay organized for Saturday night’s dinner, I created an oven timeline for each recipe. I also made the biggest grocery list ever. OKAY, it is really big, but my Thanksgiving and Christmas grocery lists may actually be a little bigger. This week is all about prepping any food that can be prepped, setting tables, and basically just running around doing a million last-minute details. I’m doing my best to document this all on Instagram stories for any of you that might be interested in some behind the scenes action. Soooooo…what’s my point in telling you all this (I mean, other than the fact that I really just need to talk all of the above out…stress reliever 101)? 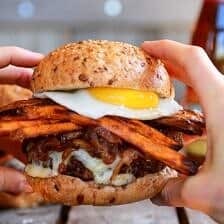 Well for one, when things get crazy I crave the foods that comforted me as a kid (so typical of me), and two, I’ve been in need of dinners that are quick, easy, and painless. 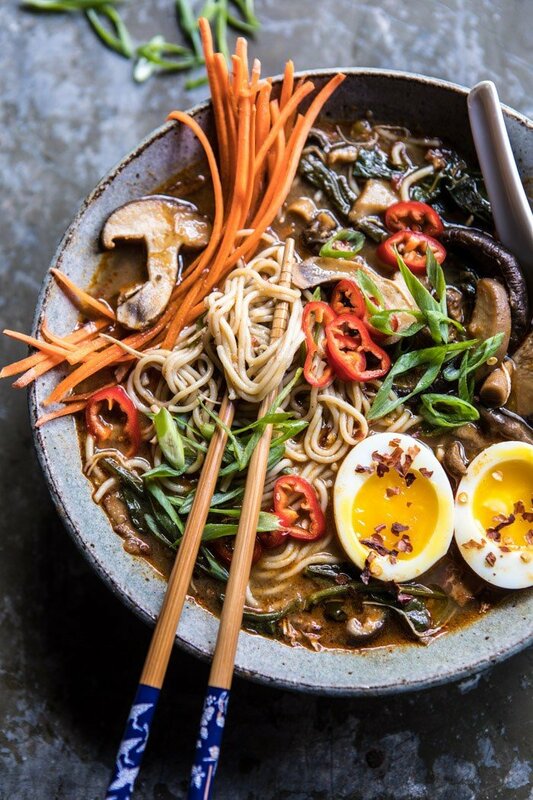 Enter this homemade (healthy) Ramen…and the Instant Pot. I mentioned in this week’s favorites post that I had recently purchased my first instant pot. After months of hearing people rave about them I finally broke down and bought one. I hesitated for a while because I really just did not want yet another kitchen appliance taking up space in my house, but in the end my curiosity got the best of me and I caved in. The verdict? At first I was really unsure, and to be honest, the machine scared me a bit. The pressure cooking is NO JOKE and you need to read the directions before you even think of using it…which of course, I did not. Once I read through the directions however, and properly used the machine, I began to see what all the hype was about. I cooked this ramen in under forty-five minutes using NO stove, NO oven, and just ONE dirty dish, the Instant Pot insert. The chicken was so tender and moist after cooking for just twenty minutes that it literally just fell apart when I went to shred it. Using the Instant Pot is a lot like using a slow cooker, only instead of slow cooking, it’s fast cooking. You just add everything right to the Instant pot, set it to pressure cook for twenty minutes and done. Just like ramen should. I mean, obviously, since I’m placing the recipe here on the blog. Plus this recipe is healthified! 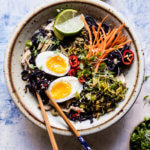 I used my favorite brown rice ramen noodles (they taste just like the regular ramen), lean chicken, lots of mushrooms, and spinach, and finished off each bowl with some soft-boiled eggs, and raw veggies. It’s honestly just like real deal ramen, but tastier and healthier. Um, yes please! I can totally be down with this meal pretty much any night of the week. It really does not get better than dinner in under and hour, and with the least mess possible. And lastly, I want to note, if you don’t own an Instant Pot this recipe can be made both in the slow cooker or on the stove. Just simmer until the chicken is cooked through. 1. Set Instant pot to sauté. Add the bacon and cook until crisp, about 5 minutes. Stir in the ginger and cook another minute. 2. Add in the chicken broth, 2 cups of water, soy sauce, rice vinegar, curry paste, and chili paste and stir to combine. Add the chicken, porcini mushrooms, cremini mushrooms, and sesame oil. Cover and cook on high pressure for 20 minutes. 3. Once done cooking, use the natural or quick release function. Set the Instant pot to sauté. Shred the chicken, it should fall apart. Stir in the noodles, spinach, and cilantro. Let sit 5 minutes or until the noodles are soft. 4. Ladle the soup into bowls and top with eggs and your desired toppings. Enjoy! ps. does anyone else live for that soft-boiled egg atop a bowl of Ramen? Because it is my favorite. Being addicted to ramen as much as I am, this will go straight on my to do soon list!! Woo! Hope you love this recipe Ruth! Thank you!! Thanks so much Kelsey! I hope you love this ramen! I am gonna have to break down and get an instant pot soon. It seems like you can do so much with it. We can, so we have considered a traditional pressure cooker before, but always just stayed away from things that need pressure cooking. Makes me wonder… can you can with an instant pot? hmmm. You can only do water bath canning and it’s pretty small. You need a pressure canner to can. I am not sure if you can with and Instant Pot. I wouldn’t think so, but again I dont know. Sorry I could not help more. Beautiful dish! How do you get such long carrot shreds? They add such an artistic look. Thanks Ann! I just use a hand help julienne peeler! Yes! This looks delicious and I can’t wait to try it. More instant pot recipes, please! I bought one over the summer on Amazon prime day and I love it! Also love the cookbook, BTW! YES! I am so glad you’re loving the instant pot because I am too! Oh & even better that you love the cookbook! Thanks Nikki! I’m gonna try this tonight! Your new cookbook arrived on my doorstep on Friday. Saturday I made your chicken & ravioli spring time soup . . .OMG!! It was awesome! I cook recipes from your blog all the time but am so excited to now have your cookbook in front of me. It will definitely be well used & loved! Yay! That is so amazing Paulette! Thank you and I hope you love the other recipes as well! I got in My, and I love it. I made stock in it over the weekend that was way better than anything I’ve made on the stove. 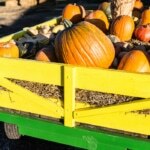 There’s a facebook group too that posts tips and recipes that have really helped me with the learning curve. You can also do the eggs in the ip. I forget how long though. I can’t wait to try this recipe. That is awesome Lauren! Hope you love the Ramen! Those photos just make me want to dive into this bowl! I use Thai kitchens and sambal Oelek! Let me know if you have other questions. Hope you love the ramen! Did you use a red or yellow curry paste? I like to use red curry paste. Please let me know if you have other questions. Hope you love the recipe! 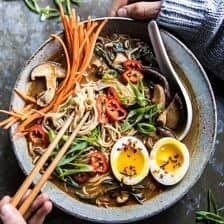 How spicy is the broth with this method? In step 3 of your instructions, you say that we are suppose to “set the Instant Pot to Saute”. I can’t figure out why we would do that. I think this is a typo? The recipe looks yummy and I’m happy that you’ll be writing recipes that work in the Instant Pot. I’ve owned my Instant Pot for several years but have never gotten very creative with it. I know I’ll love using it with your ideas. Yes, this is also correct! Hey Jennifer! You want to saute the bacon and ginger before adding the liquid. Hope that clarifies things for you, but please let me know if you have any other questions. Hope you love this! Or….is the saute function in step 3, used to cook the noodles and spinach? Sorry. Nope, it is used to cook the bacon. Would you add everything to a slow cooker if you don’t have an Instant Pot or still leave the noodles and greens until later? Add everything to the slow cooker, BUT leave the noodles and greens out until the last 5-10 minutes. Let me know if you have other questions. Hope you love the this. thanks! 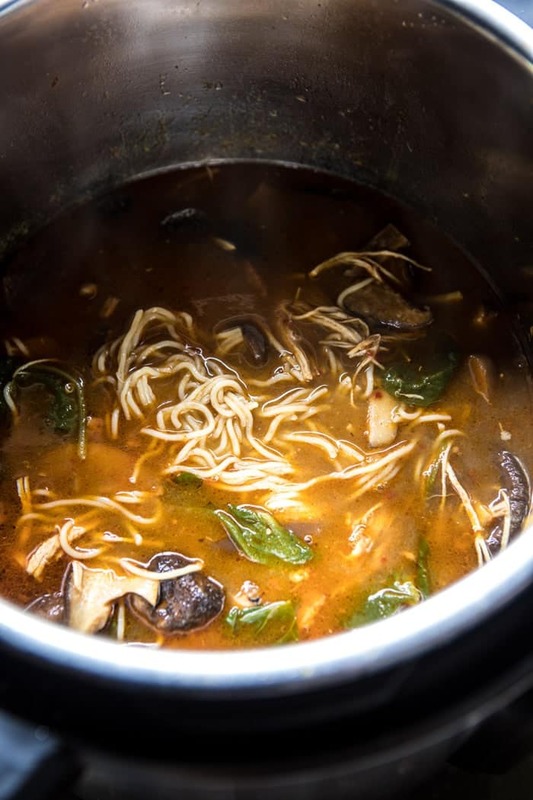 How long would you cook the ramen in the slower cooker if you did not have an instant pot? Ps I love your recipes ! Hey Jackie!! I would say 4 hours on high, 4-6 hours on low. That will be great! 🙂 Enjoy and thank you! Hi! I plan to cook in slow cooker tomorrow. Wondering if I still need to cook bacon and sauté ginger on stove before putting everything in? This looks delicious! By the way, your cookbook looks fantastic!! I just got it in the mail today. Can’t wait to try some of the recipes! Thank you Stephanie! I hope you love the recipes! I just finished making this Ramen soup for dinner tonight. Such a rich and hearty delicious soup! We loved it. I used 1.5 T of Thai red curry paste and 1/2 T of the Chilli Paste and it was perfect on the spicy barometer for me. My husband shared a Singapore tradition of adding a touch of honey in your bowl at the table. 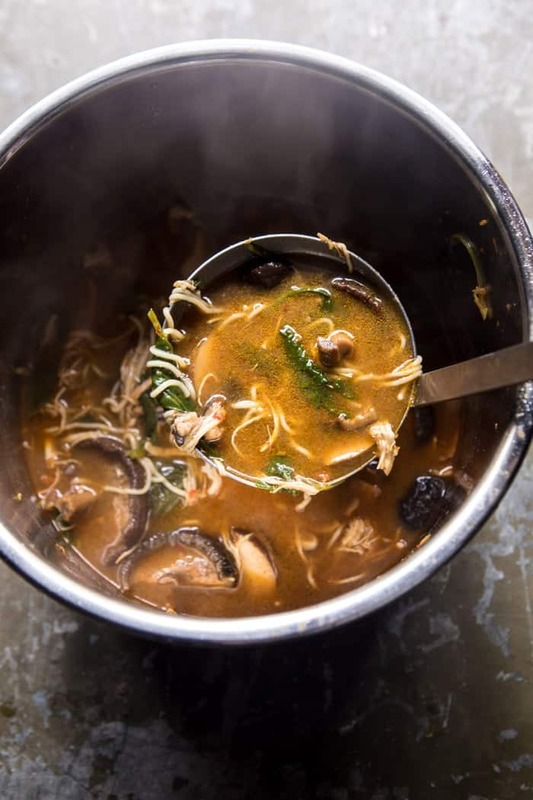 It really deepened the beautiful flavours of this soup. Our veggie garden is full of red and yellow swiss chard right now so I used them instead of the spinach. This soup is a real keeper. Sounds like an awesome meal! I am so glad you enjoyed this recipe Christine, thank you! This looks so good, the perfect Monday night comfort meal! We are always on the hunt for good ramen. This looks so crazy delicious! Thank you so much Matt!! I could eat this every night of the week! That is awesome! So glad you like it Leigh! I want this bowl of goodness in my life! So excited for instant pot recipes! Just got one for my birthday last week-still figuring it out, but everything I’ve tried has been awesome so far 🙂 Your cookbook is amazing btw-so many recipes I can’t wait to make and every picture is absolutely gorgeous! What perfect timing!! I am so glad you both enjoyed this recipe Kayti! Thank you! I made this last night and it was such a hit! I just got an instant pot myself and this was the first recipe I tried with it. I’d love to see more instant pot recipes from you! Now to start on that dutch oven bread for tomorrow’s dinner…. That is so great! I will have to start doing more recipes with it! Thanks Gabrielle & I am so glad you loved this recipe! I LOVE ramen so much! 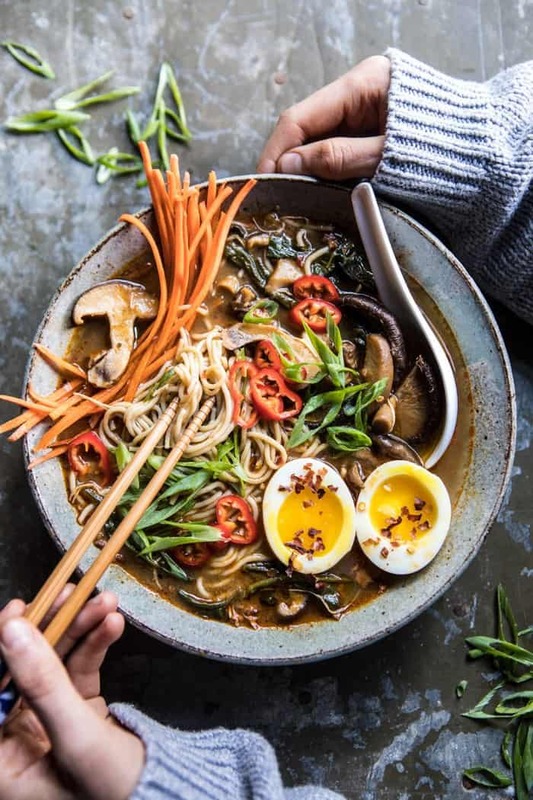 Only you can make a bowl of ramen look that gorgeous and delicious Tieghan! Can’t wait to make one myself! Really really love this, thank you, ramen is such a wonderful set of flavors, I even love the extra protein shot in the hard boiled egg! Hope you’re at least able to enjoy all of the dishes you’ll be making at your retreat this weekend! What kind of Ramwn noodles did you use? Doh! I clearly wasn’t paying attention this morning…I obviously need to have my coffee before surfing recipes. Thanks for putting the ramen brand in the post and recipe! I like brown rice ramen. Link below! I am so glad! Thank you Jennifer! I can’t even imagine how much work is involved in coordinating a retreat let alone the roller-coaster of emotions! I have no doubt it’s going to be fantastic! I’m grateful I’m not the only one who doesn’t read the instructions, it drives my partner c-r-a-z-y!. 😉 Quick Q, do you think the Instant Pot is worth all the hype? In hindsight would you buy it again? Keep up the incredible work. I literally just ate breakfast, but I can’t wait to try this recipe! Hey Kylie!! Thank you so much for your kind comment!! 🙂 So sweet! So, honestly I am still trying to figure it out. It is great for getting things cooked fast, so if you need dinner in a hurry then it might be worth it. If you love your slow cooker though, I might stick with that! Sorry I could not help more! I am testing recipes and just seeing how it goes! This looks amazing! Can this be made in a slow cooker? And if so would you add everything in the same way or wait till the end to add the noodles? Thanks! Thanks Steph! Add everything to the slow cooker, BUT leave the noodles and greens out until the last 5-10 minutes. Let me know if you have other questions. Hope you love the this. thanks! Mine’s in the Instant Pot as I type! Step 3… add the basil. Wait. Basil? I didn’t see basil in the ingredients list. Did you mean basil… or cilantro? If basil, regular or Thai? Lemme know. So sorry! I meant to say cilantro, recipe fixed. I am sure if you used basil that is great!! Hope you loved the soup! is it OK if the slow cooker cooks on low for up to 8 hours? how much ramen noodles is this? confused by the one pack.. is it just one square? referring to the kind you link to in amazon 🙂 thanks! do you know how to tweak this recipe for regular stovetop or, better yet, a slow cooker? We have been wanting to use our Instant Pot more. This recipe was so easy and flavorful. Just enough body to the broth without making it too heavy. I am so glad you liked it! Thank you Josh! Made this and LOVED it. I don’t have an instant pot, so I made it with a regular pot. I will be making it again! I am so happy you loved this Beth! Thank you!! Should I substitute olive oil for bacon? That looks super yummy! Can’t wait to try it, thanks for the great recipes! Perfect! I am really glad you liked this Michelle! Thanks! Just made this, my third instant pot recipe and my oh my is it goooooood! Full on happy ramen food coma over here! I followed the directions here as is the only difference was I put in a half pack of the ramen instead of a full pack and I thought it was plenty. Two hungry people ate 2/3 of the soup and going back to store the leftovers the broth was already getting absorbed a lot by the small amount of left over noodles. I thought if I put the whole pack in there would be no broth left. Also I used mixed dried mushrooms because that’s what I had in the house and they were fine but because of their larger size they didn’t seem to cook enough or get tender in the instant pot and we picked the larger ones out while eating. Next time I would definitely still use them for the depth of flavor but I would break them down into small pieces before adding and hope that would make them more tender in the finished product. Awesome recipe! Hi Julianna! I am so happy this recipe turned out amazing for you! Thank you so much! This is very delicious! We doubled the recipe, it fit well in my 6qt, used 20 minutes for timing. We will make this again and again. This recipe was Thanksgiving turkey transformative! Yes, I could have served a tasty traditional styled turkey soup but my youngest gets tickled anytime there is Asian food for dinner. Slurping ramen noodles with chopsticks was a total win. I used some homemade turkey stock and thew in the legs and wings that nobody wanted to eat because they were a tad dry. 15 minutes in the instant pot and the meat was tender and falling off the bones. Removed the bones and shredded the meat while the noodles were cooking. Cut back on the spice for the more sensitive palates, letting others add sriracha at the table. Didn’t have dried porcini but didn’t miss them – the broth was so flavorful. This will definitely get made again. Thanks! I am so happy you loved this dish Stephanie! Thank you and I hope your Thanksgiving was amazing! We just got an instant pot – I’m so excited to try this recipe and saw that you posted another one today – can’t wait to try them both. Quick question: how spicy is this? I like spicy but sadly my husband doesn’t. I was thinking I might leave in the curry paste for flavor but omit the chili paste. Thank you! I made this without the chili paste and it was delicious – not spicy but still super flavorful! Thank you Jamie! I am so glad you liked this! 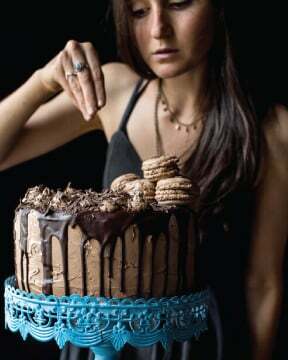 I’m so excited to be making this tonight! With an 18 month old son and a baby on the way, I broke down and bought an Instant Pot so I can spend less time on my feet with a toddler under my legs. Your recipes are always so reliable! Thank you Jennifer! Congrats on your pregnancy, that is so exciting! I hope you enjoy the instant pot and recipes on my blog! Did you use a regular size Instant pot? How full was the pot when you had all the ingredients in there. I have the Instant Pot mini, and am wondering if I should cut the recipe in half j.i.c. Hi there! I made this last week with chicken and it was delish, however this week I’ve got a request for pork ramen. Could I substitute pork for chicken? And if so, what cut if pork would you recommend and would it change the cooking time at all? Thanks! Do you have any recommendations On timing if I’m cutting the recipe in half and making it in a 3 quart instant pot? What kind of chili paste should I use? Thai Kitchen’s Roasted Red Chili Paste? I live in Canada, so I was thinking of using a local product: Spicy Chili Miso Okazu (product link here: https://www.abokichi.com/products/okazu-japanese-miso-chili-oil-condiment). Did you use something similar to one of these products? Finally, will That Red Curry Paste work for the curry?Thanks! Whoops, I meant “Thai Red Curry Paste” for the curry! I love this. I have made it twice now. The second time, I subbed the sesame oil for fish sauce and cut out the bacon and its only 7 smart points on Weight Watchers. Not bad for it being so tasty. This is my Sunday night go to from now on. Thanks, Tieghan! That is amazing! I am so glad you like this recipe, Samantha! Thank you! Why do you put the pot on sauté again after releasing the pressure? I made this recently, and it was a winner! I hope to make again soon, but I was wondering if you’ve ever tried with a frozen chicken breast. If so, any suggestions on adjusting the time? I’m fairly new to the instant pot (but also in love). Thanks! Quick question because 20 mins to cook the chicken and vegetables seems too long – when I make tortilla soup I cook for 5 to 6 mins and NPR for 10 mins. I know that you don’t NPR but to a QR is that why you cook it for so long? I just don’t want me chicken tough. HI, I am sorry, I am not really sure what you are asking. I use and Instant Pot, what are you using? Hope I can help! I found this recipe a week ago…I made it tonight, without ANY of the extras (no scallions, carrots, egg (pressed for time!)) and it is delicious. Not too spicy, not too bland; winning all around for our crew. Thank you! I found your blog just before Christmas. I have yet to make a recipe my family doesn’t love. Your cookbook is phenomenal; don’t let anyone tell you otherwise. I am so glad you liked this and that you are enjoying my book! Thank you Les! I made this for us all for dinner the other night and we all loved it. The family have asked me to cook it regularly, so we’re going to make it a weekly thing. 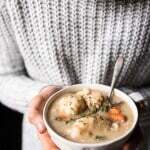 Great recipe – and I cooked it in a pot on the stove as I don’t have an instant pot. Thanks for a lovely recipe! That is so amazing to hear! I am so glad you and your family liked this Jo! Thank you! First time using instant pot so forgive the stupid question but do u put this in the soup function and then pressure? I’ve made this twice already this month. Great recipe. I did reduce the chili and curry amounts a bit for my young children. 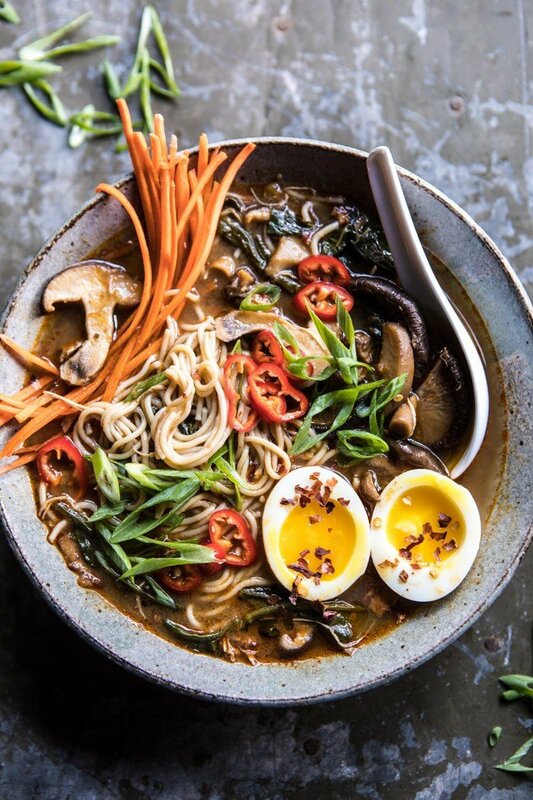 We love this ramen. I am so happy to hear that! Thank you Susan! Oh my, this is GOOO-HOOOOD!!! I just finished my first bowl of this ramen, and it’s superyummilicious! Thank you for sharing the recipe. I’d be curious to learn what chili paste you use. I had some Thai chili paste and since my grocery store didn’t have much else on offer, I just used it. Came out tasting like Japanese ramen all right, but I wonder what a perhaps better choice might be? What type of curry paste do you use? Just made this and wow! Sooo good! 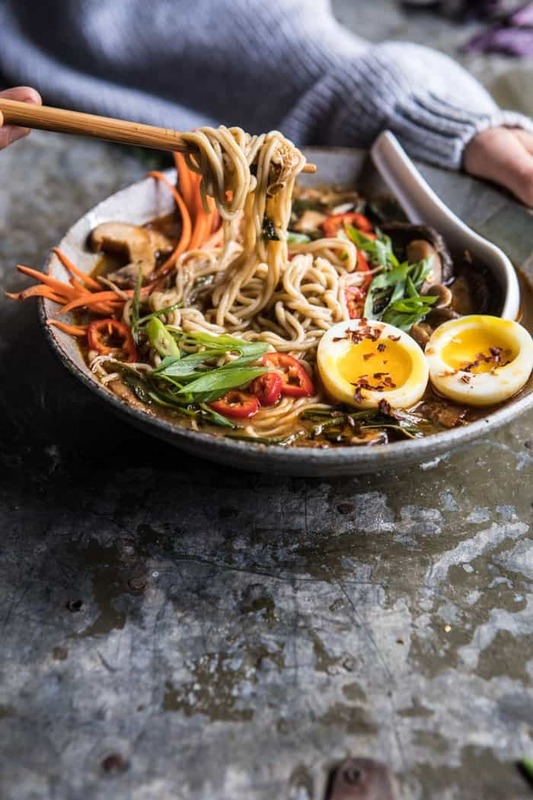 I have never made ramen before and this recipe is so easy. I will definitely be making this again! I am so glad you enjoyed this Jodi! Thank you! So I made this and substituted a half of rack of ribs instead. I also used a mix of mushrooms because I love them so much. It was off the charts!!! Made this tonight and it is PHENOMENAL. I have enough to feed me for the next 4 days which is even better! I didn’t make the eggs to go on top because I forgot and I didn’t want to wait any longer to eat it! I am so happy you loved this! Thank you! New to making ramen and novice with the Instant Pot. How large is a pack of Ramen? I ordered the listed millet brown rice ramen which contains 12 “Packs”, but considering the volume of liquid (4 cups) thought that one square or pack was on the low side. Saw in the comments that someone else reduced the amount of ramen. So in general does the recipe call for just 1 of these small packs? Thanks. Looking forward to trying this soon. 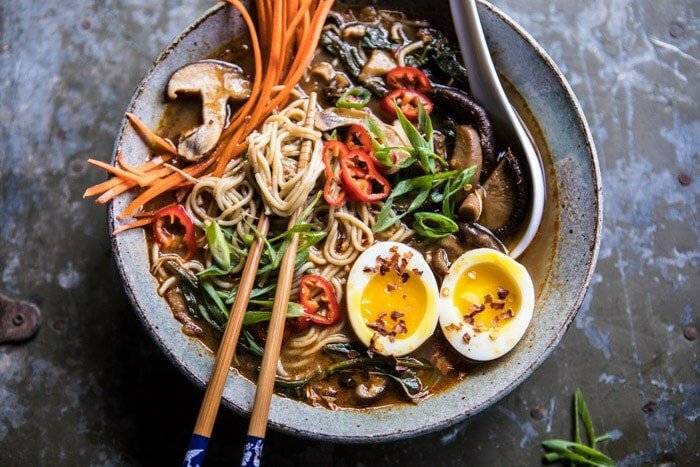 I’ve never made Ramen before but this looks wonderful. My question is the recipe says 1 pack Ramen? I’m not sure exactly what that is. Your video shows 2 packs? This recipe is for a family of 4 including two hungry teenagers. Speaking of the teenagers, any suggestions for alternatives to the mushrooms (they aren’t big mushroom fans). Thanks for your help. Seriously the best thing I’ve made yet in my Instant Pot. Thank you! I am so glad to hear that! Thank you Sara! Hey! My wife and I loved the flavors, but we were left with almost no broth! Any thoughts? Maybe our ramen squares were too big and soaked up all the liquid? Any ideas? We only had broth for about one bowl of soup. I just got my IP and had a bit of a failure the first thing I tried but this turned out perfectly! I cooked the mixture for 30 mins instead of 20 because I used frozen chicken breasts. I added a bit of honey to the broth and added zucchini ribbons with the greens/noodles. Gobbled it down, loved it!! I am so glad you loved this Rachael! Thank you! To prep the eggs I boiled them for 7 minutes and they were just a little runny. This was a great recipe! I added edeame and corn to the broth at the end and substituted bok chuy instead of spinach. Also added some chilli Oil to spice it up! Turned out great. Winner winner chicken dinner! This recipe is fabulous. I do like to have leftover chicken so i used a 3.5lb whole chicken in the instant pot. I added a bit more water and spices and woweee! I could eat this every night! I am so glad you loved this! Thank you Meg! This is a lovely meal to prepare for dinner,I like it. I did not like this at all….I was really looking forward to it because I loooove ramen. It has way too much ginger and vinegar in the recipe.I will try to tweak it some, but I think I may just stick to what I know and keep cooking it that way. Hi Beth! I am so sorry to hear that you did not enjoy this. 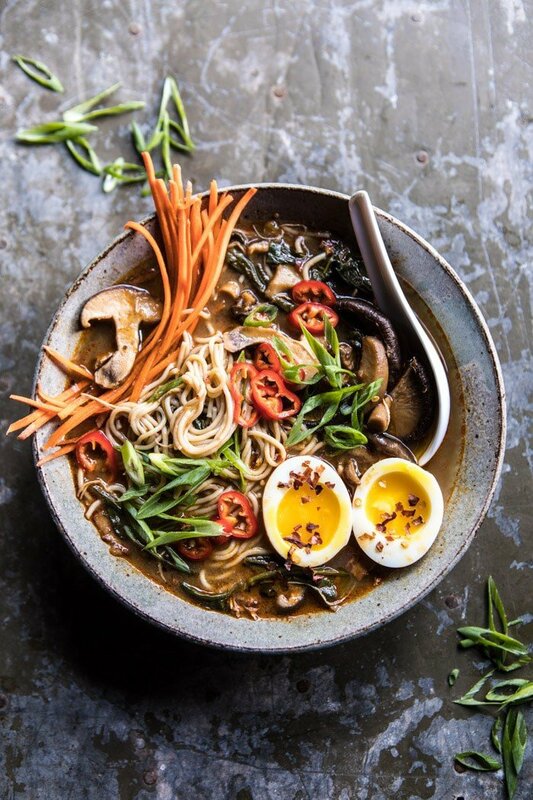 I have some other ramen recipes on my blog if you would like to try those! 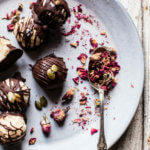 I hope this does not stop you from trying and enjoying other recipes of mine! Where do you buy ramen noodles? Do you just use the cheap 15cent packs and dump the packet and just use the noodles? Or is there a better noodle option sold in stores like any other kind of pasta? Hi Kristin! You can definitely use the 15 cent packs and just not use the packet, or there are some options for ramen noodles in the section for Japanese food in most grocery/ health food stores! I hope this helps, but please let me know if you have any other questions! 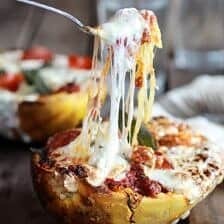 Is there a way I could make this in a crockpot if I don’t have an instant pot on hand? It looks amazing and I’d love to try it! The flavor is great but I didn’t realize that if you’re not eating it immediately the noodles soak up all the soup and turn soggy. If you’re making it for meal prep, don’t add the noodles. But the recipe is perfect for the Instapot. Is it a special type of curry paste? Asking as we done have just curry paste here, it’s usually red curry paste, green curry paste etc.. thanks! This was delicious and came together fast. The whole family loved it. Great taste and loved that it uses ingredients I usually have in the house. Awesome recipe, Tieghan! Thank you so much Fibi! What type of curry paste did you use? Red? Have you or anyone on here ever tried this or these recipes with Pork? If so please add pork cuts and cooking. I would assume that the pork would cook just like the chicken in the IP? Just got done with this and used pork….fantastic! I did the instant pot with slow release. Get a 1.5-2lb pork tenderloin and trim the fat. Brown with a little oil first thing on saute, about 3min a side so no pink showing. Brown the ginder on saute and then follow the same recipe. Pork shreds nicely! Hi Matthew! I am so glad this turned out so well for you and you enjoyed it! Thank you! I made this twice. Wonderful, rich flavors. I added miso and it was awesome. Thanks for the recipe. I’ve been looking to use my instant pot for something besides making goulash and rice, meat and veggies for the dog. This recipe will be a nice addition to my short list. I hope this turns out amazing for you, Maureen! Thank you! Just wow! I only recently got my instant pot and have been looking for easy recipes. This one was delicious and so so simple to prepare. I made a few subs (chicken thighs, miso broth, no mushroom, and add corn) and it turned out awesome! I love how much you can play around with the ingredients. Definitely will be back for more recipes! Hi Erica! I am so glad this turned out so amazing for you! Thank you so much! Just made this for my family tonight! It was great! We love your recipes! Thank you! 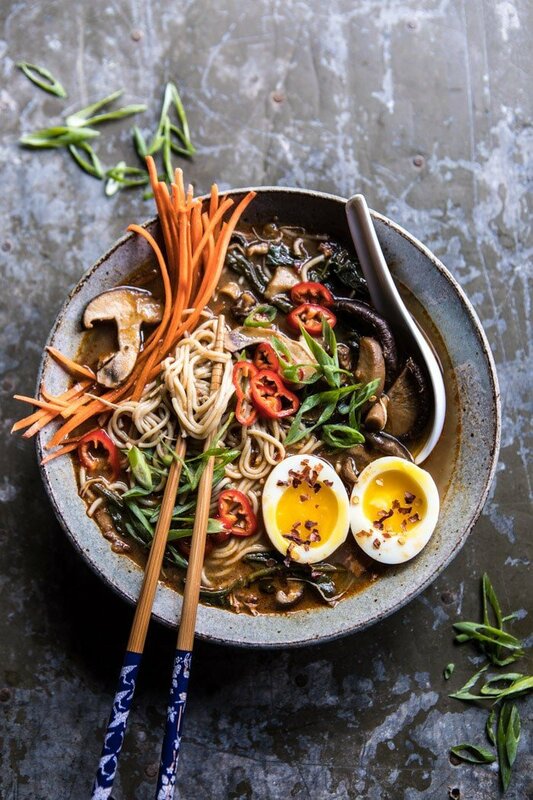 Love this ramen! So easy and delicious! I just had a baby in January and this ramen has been a quick but gourmet meal to keep us warm during the cold winter indoors with a little one. We load in the veggies and let the noodles soften in individual bowls. Then we can save the extra broth and chicken in the fridge and eat it for left overs with fresh noodles. Thank you for posting! Just bought an instant pot, and made this ramen! 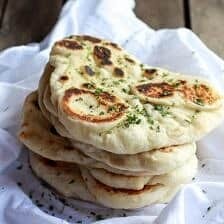 So delicious and so easy to make! This soup was very tasty. My son and I enjoyed it 5 stars. My wife and daughter, 4 stars. It went together pretty quickly. The recipe was easy and straight forward. I’m still getting the hang of the Instant Pot. Hi! I’ve made this before and the whole family loved it! Making it again tonight but I only have chicken tenders, not breasts. How would you adjust the cooking time? Recipes for tenders in the instant pot are all for only around 3 minutes, but then I imagine it wouldn’t fall apart like I want. 10 minutes?